Ginger Tea recipe by Marium Hamid at PakiRecipes.com. Taj Mahal tea or any brand of your choice. 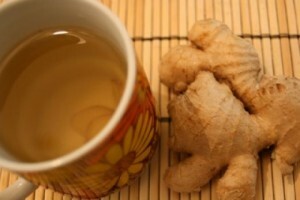 Put Ilaichis and ginger in 1 cup of water. Add 2 tsp of tea or 1 teabag. Simmer on low heat for few minutes. Cover and turn off the heat. Add milk ( micorwave it separately).